The last card I did for the Make it Monday had a spring theme. This time around I went for fall colours. I prefer to think of it as a nostalgic looking back at a time before winter. And, somehow, whenever I pick colours, I tend to go for these ones anyhow. I love browns and oranges and greens and shades thereof. Anyhow, hope you enjoy. 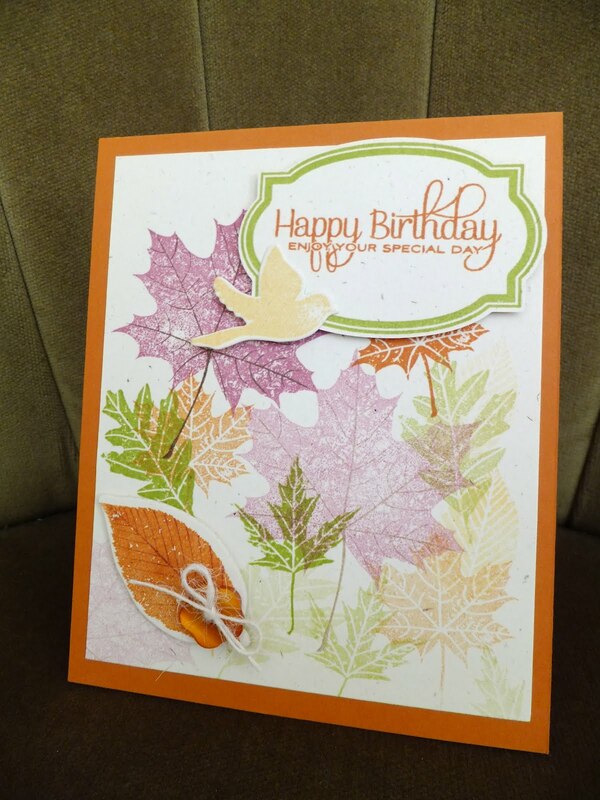 I like your idea of using fall colors--they are always a favorite. 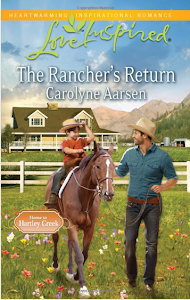 Carolyne, The first thing I noticed about your card was the colors--and how they matched the book in the sidebar. Then I read further and realized you are the author of the book. Wow--it sounds interesting. I'll be looking for it this summer. And your card is beautiful. Hey Steph, thanks so much for stopping by. Your compliments mean a lot coming from someone with your talent! 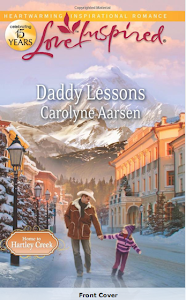 So glad you enjoyed the book! That means more than you can know. Blessings to you. Pat, also, thanks for the lovely comment. 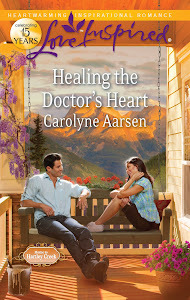 Hope you can find and read Healing the Doctor's Heart. A companion card--great idea! Just a touch deeper in color, and it's a whole 'nother season! So pretty! 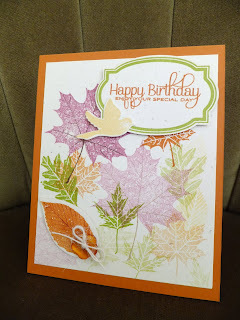 I love the generational stamping with the different colors/sizes of leaves. So lovely!